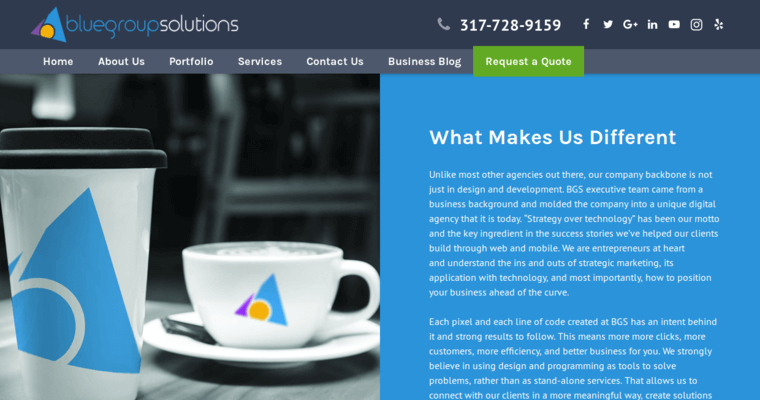 If your website needs design, coding, or branding techniques that really work, Blue Group Solutions is the award-winning team that can get the job done for you. They employ strategies that aim to increase conversion, keep folks engaged and interested in your website, and design websites that truly keep customers happy and willing to come back time and time again. 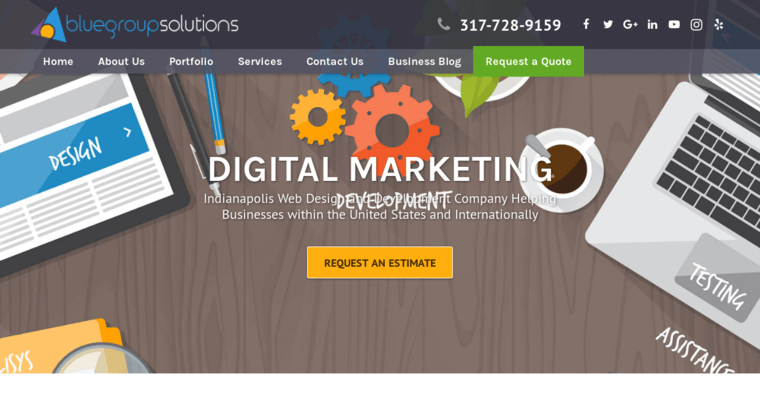 Whether it's sales conversion you need, web development, or brand growth, you're going to find that the Blue Group Solutions team is ready and able to get the job done. 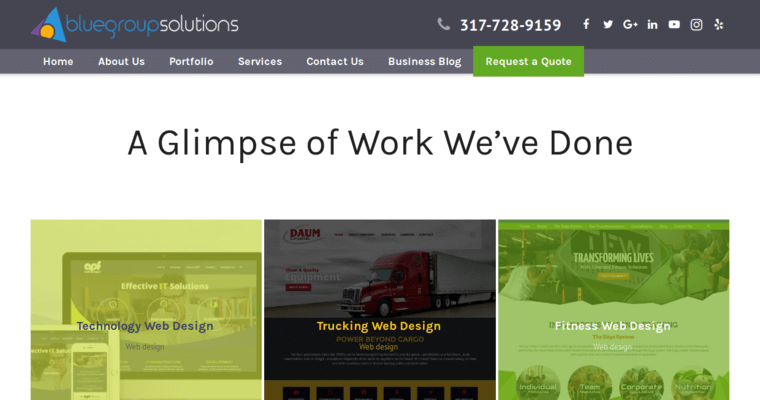 As a web design firm based in Indianapolis, their team consists of members that have a strong business background, so they're highly capable of knowing what your business needs are because they've worked in a business setting for most of their careers (if not all of their careers). As business-oriented designers and coders, they know how to help companies succeed.